The University of Pennsylvania is trying to distance itself from some embarrassing honors. The school announced Thursday it will revoke honorary degrees it gave to casino magnate Steve Wynn and comedian Bill Cosby, both accused of a pattern of sexual misconduct. It's also removing Wynn's name from a scholarship and a commons on its campus. The actions come in the wake of a report last week by The Wall Street Journal that detailed numerous allegations of sexual misconduct by Wynn involving employees of Wynn Resorts and others. Wynn has denied the allegations, calling them "preposterous." The allegations against Wynn caused the school to convene a small group composed of trustees, alumni, deans, and faculty to examine the honors that had been given to him. That committee not only decided to remove Wynn's honors, it decided to revoke an honorary degree given to comedian Bill Cosby, who has been accused of sexual assault. A criminal trial on those charges ended in a hung jury last summer. Cosby also denies the charges against him. "It has been a century since the University of Pennsylvania last revoked an honorary degree, and we do not take that decision -- or the decision to remove Mr. Wynn's name from the commons and from the scholarship fund he created -- lightly," said a letter sent to the university community by school president Amy Gutmann and board of trustee chairman David Cohen. "We view these as extraordinary and essentially unique circumstances that call for an immediate, decisive, and clearly ethical response." The school said it will continue to give the scholarship which has carried Wynn's name. A spokesman for the Ivy League school said none of the money that Wynn has given to the school will be returned, and that Pennsylvania law regarding gifts to non-profit institutions does not permit returning gifts without court approval. Wynn has not pledged any additional donations to the school, said Penn's spokesman. He received a bachelor's degree from UPenn in 1963, and served as a trustee of the school from 1994 to 2004. He was given the honorary degree in 2006. 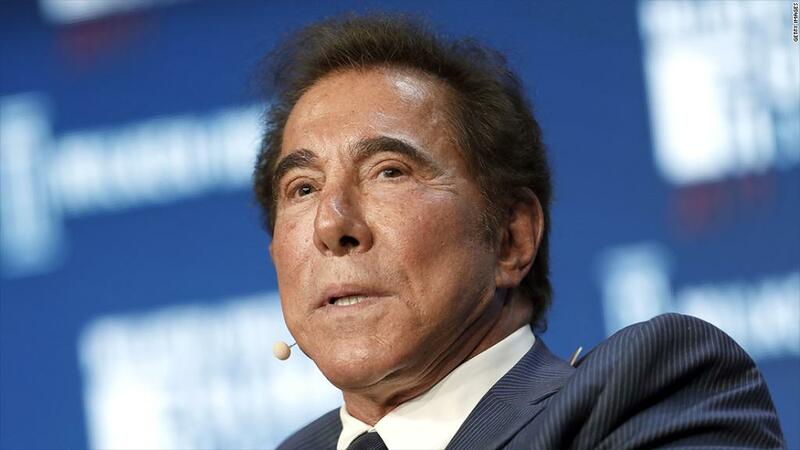 The letter notes that Wynn has resigned as finance chairman for the Republican National Committee, that an investigation has been announced by directors of Wynn Resorts, and that questions have been raised by gaming regulators in Nevada and Massachusetts. "Our nation is currently undergoing a profound reckoning regarding the role and extent of sexual misconduct in all areas of our society," said the letter. "It is incumbent on all of us to address these issues wherever and whenever we find that they affect our extended community. As a University, we have always been, and will always continue to be, looked to by our alumni and neighbors, our faculty, and most of all by our students, for moral leadership. We must not -- we cannot -- fail to provide it." Wynn Resorts spokespeople did not immediately respond to a request for comment on the school's action. A representative for Bill Cosby did not immediately return an email seeking comment.